GO.MS.NO-16 Dt. 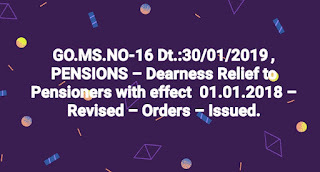 :30/01/2019 , PENSIONS – Dearness Relief to Pensioners with effect 01.01.2018 – Revised – Orders – Issued. GO.MS.NO-16 Dt. 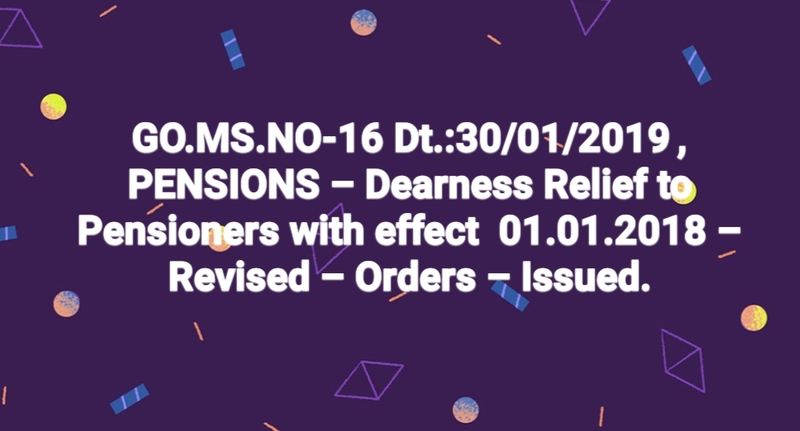 :30/01/2019	, PENSIONS – Dearness Relief to Pensioners with effect 01.01.2018 – Revised – Orders – Issued.